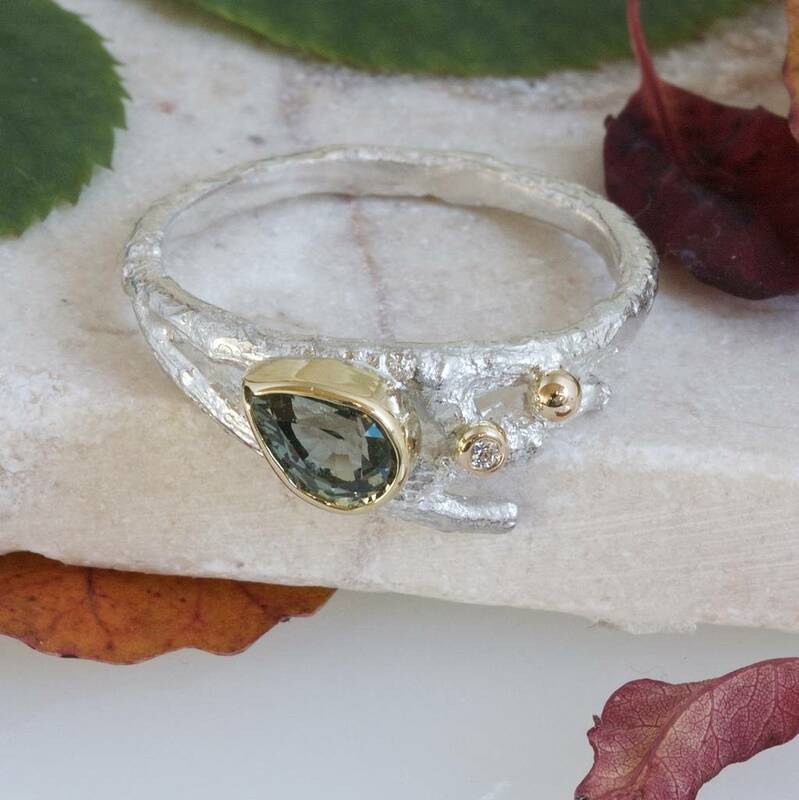 An alternative twig engagement ring celebrating the beauty of nature. 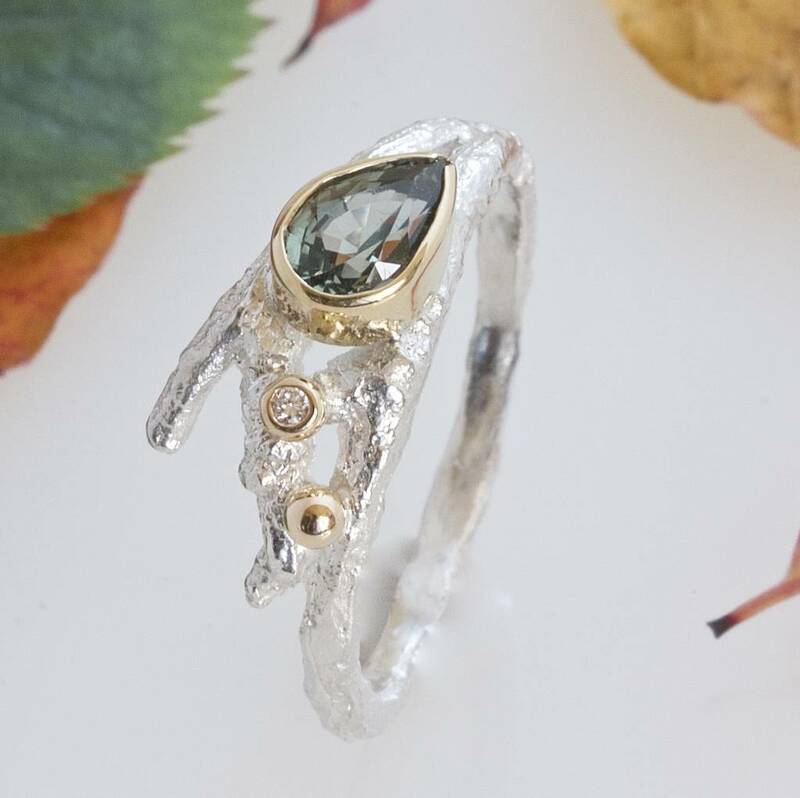 Handmade from sterling silver, 18ct gold, and a pear green sapphire and diamond. 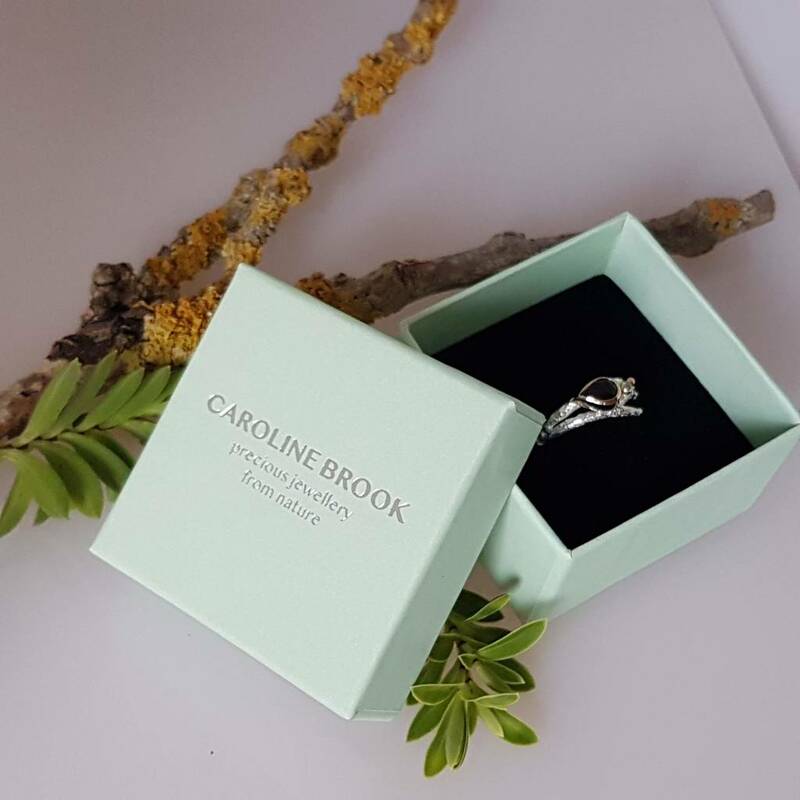 The band is cast in sterling silver from a real twig, collected in England and selected for its striking fan shape and texture. 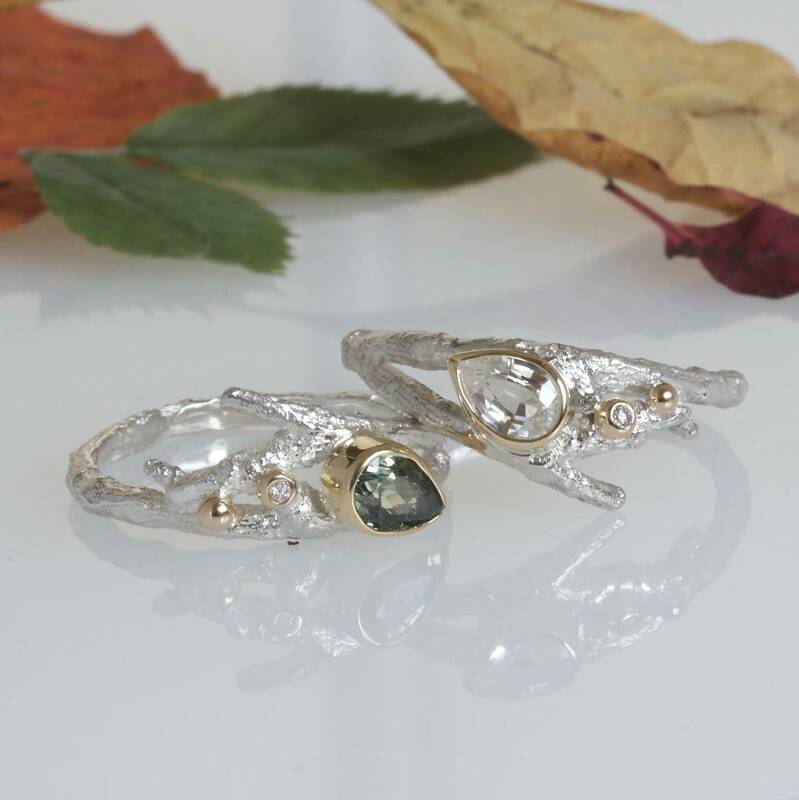 On the top, a pear shaped green sapphire is set in 18ct gold with two solid gold berries, one featuring a tiny white diamond, which nestles in the fork of the twig. 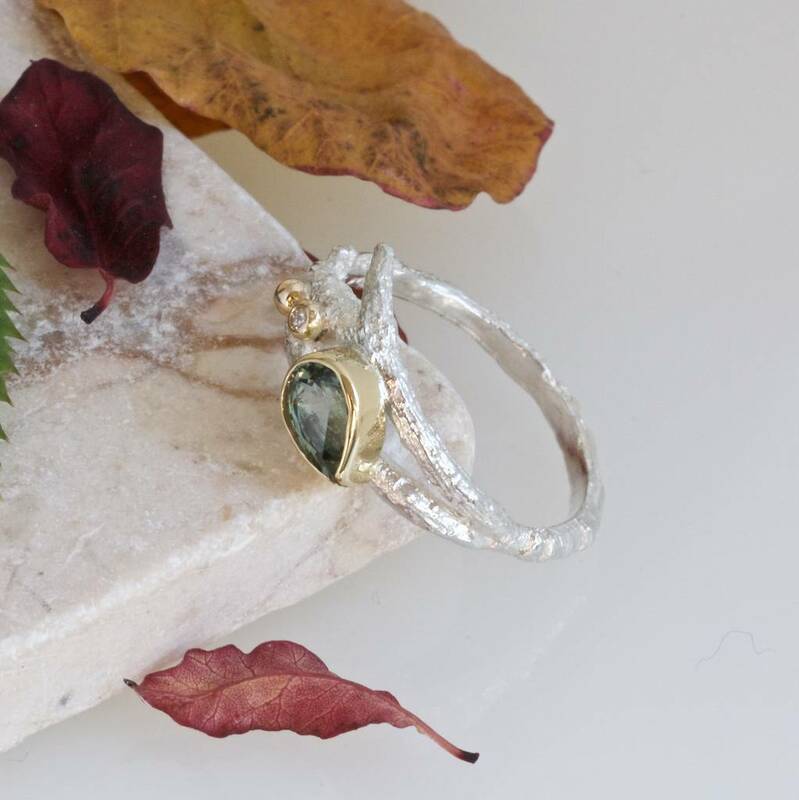 The ring sits beautifully on any finger and is truly one that will take your breath away. 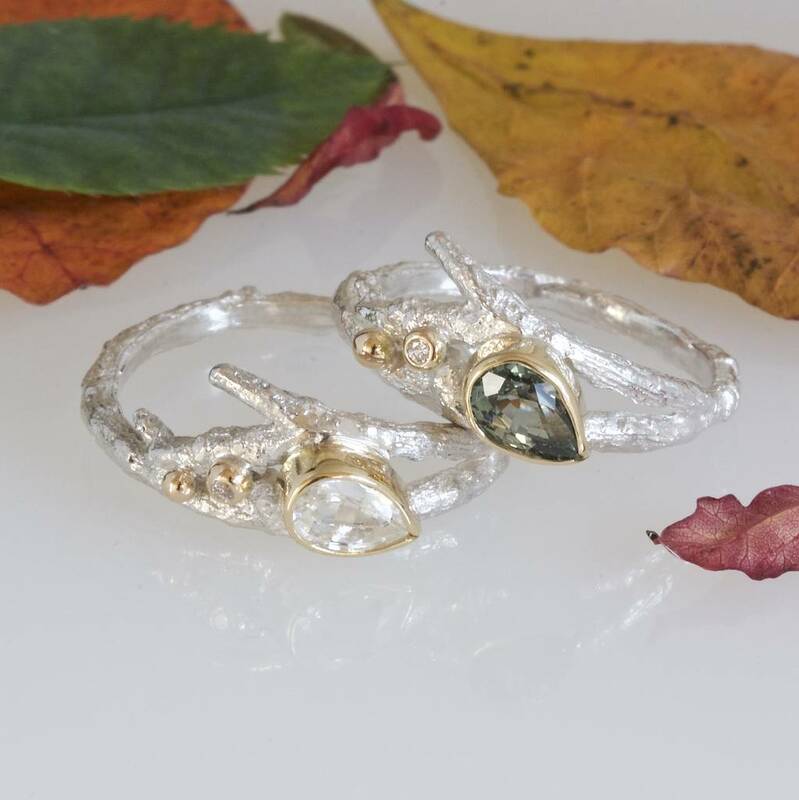 It makes a striking alternative to traditional engagement rings and slips into rustic ceremonies with delightful ease. The entire piece has been handcrafted by Caroline Brook. 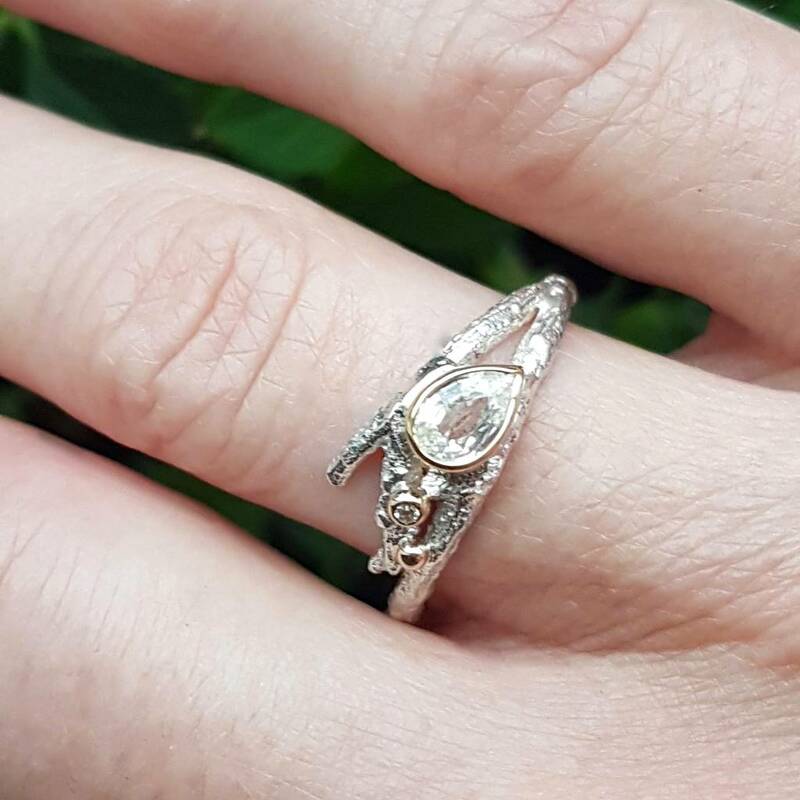 This unique organic ring would be perfect as an alternative nature engagement ring, Elvish ring, hand fastiing ring or just because you love nature. Other stones or shapes are availalbe so please contact me if you want something different to the choices offered.